Solitaire Tower — Landworks Studio, Inc.
Landworks Studio developed the design for the gardens, streetscape and two roof decks of this 41-story, luxury condominium Tower. It is located in the high-end residential and commercial Xitun District of Taichung, Taiwan. The Streetwalk is framed by beautiful alleys of Zelkova trees, connecting the Tower to the famous Toyo Ito-designed Taichung Metropolitan Opera House and other cultural and entertainment landmarks within the neighborhood. The use of rich materials and exclusive details is characteristic for this project. 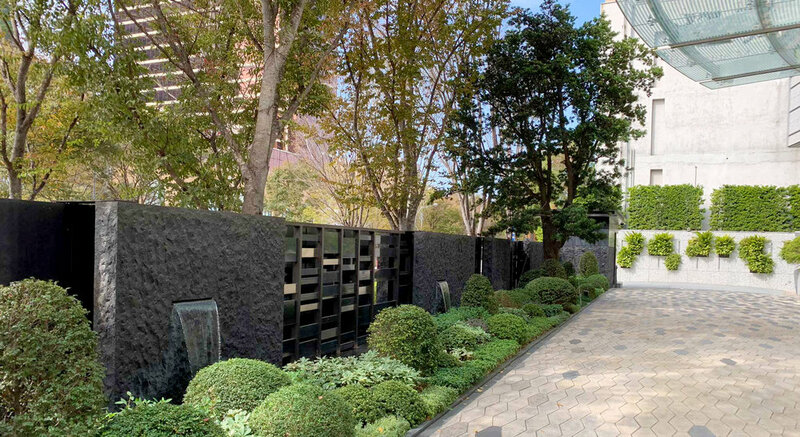 A striking art wall marks the Entry Court and provides screening as well as a threshold to the main entrance of the building which is framed by a tonal gradient of large, diamond shaped granite pavers. The expansive ground floor halls of the building with large window fronts allow for a continues flow from the more formal Urban Porch garden area with a vast pool and art pieces, through to the still pools of the West Garden with their floating flowering trees. 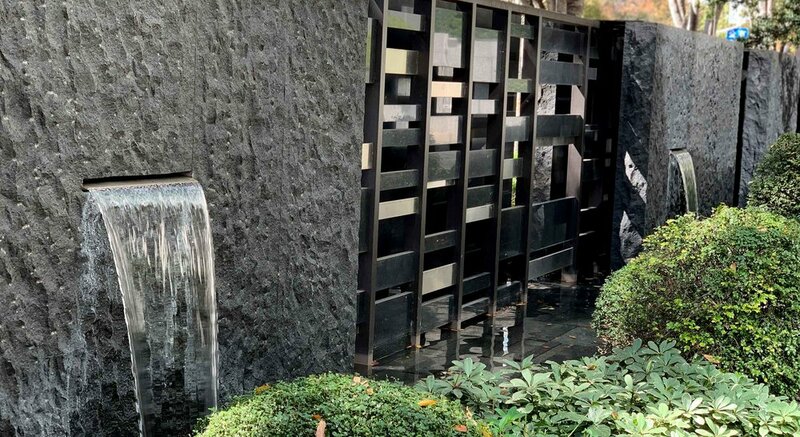 A partly vegetated water wall creates backdrop and center piece to this more secluded area with several terraces, a tea garden and exuberant tropical plants. Two fourth floor luxury units have access to their own private terraces forming sheltered oases above Taichung’s busy city life. The 41st shared rooftop terrace allows for fantastic views to the surrounding city amongst dark, slanted stone planters in front of a wall design with enormous undulating stone panels. Client: Pao Huei Construction Co. Ltd.